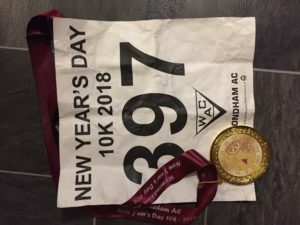 Fenland 10 and St Neots Half….. This year I had a plan, I love plans especially when they work and today all those laid out plans came to an end. 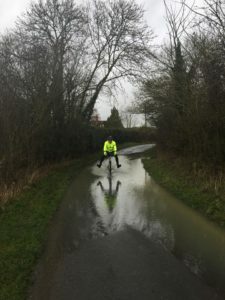 The plan was 2 half marathons, one at the beginning of the year and one at the end of the year, in between run a few 10k events while concentrating on my biking through the summer. 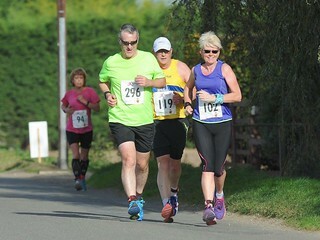 I did throw in one extra run and that was the Fenland 10, an excellent event ran in perfect conditions and used as a training run for the St Neots half.The course is described as flat and fast great for getting a P/B time. The only disappointment was No Medal or T-shirt but I did get a P/B time so the disappointment was short lived !! 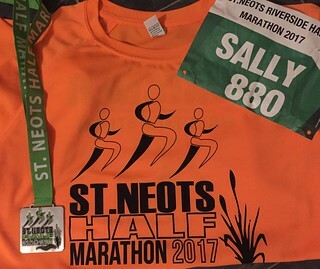 I really enjoy winter running especially on cold sunny days so I was really looking forward to meeting up with Gina for the St Neots half, I had been dodging coughs and colds all week so just hoped all would be ok on the day. 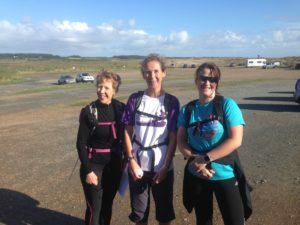 Our other running friends Linda and Jayne came to cheer us on, it’s always lovely to see a familiar face when doing these events. 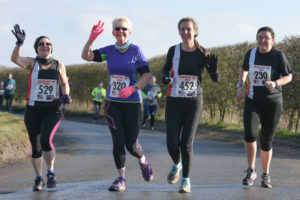 My Race was almost over before it began as when walking to the start and chatting away to Gina I tripped on a loose drain cover coming down hard on my knee and wrist, I felt quite sick for a while with the shock but was just grateful it was not worse,my new 2XU tights could have been torn !!! After I stopped worrying about my knee we had a great run on an undulating route, the scenery was lovely in today’s winter sunshine, very different to the 40mph windy gusts in 2015. 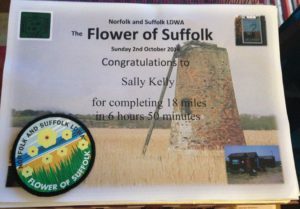 The supporters, marshalls and organisation made it a great day and we really enjoyed the downhill finish, which made our 13th mile our fastest. 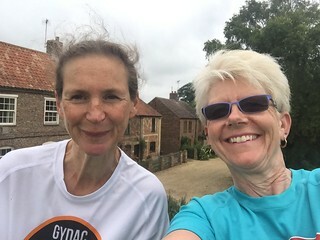 Now I am busy planning for next year, which starts with the Wymondham 10k on New years day which Gina Jayne Linda and I will run together and the idea of running a 15mile event just won’t go away !!! 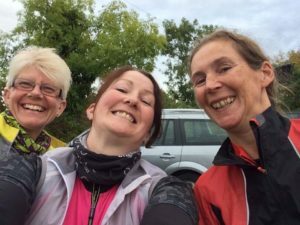 This entry was posted in 10 miles, Friends, Half Marathon, Runs on November 19, 2017 by Sally.